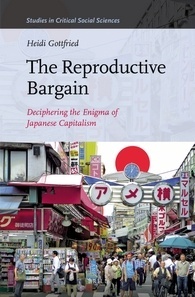 Heidi Gottfried’s book treats the role of gendered employment in undermining workers’ security in the Japanese economy, well beyond gender lines. The Diet testimony of Watanabe Yasuyuki below attests to the effect that these factors have on the decisions that family court judges thereby decide to make. The judge in a Japanese family court as it now stands, finds it far less contentious and far more in its own interests (the court’s interests) to ignore the law (no matter how tepid its demands) and issue decisions made on the basis of conserving systemic child abuse and a hammer’s approach to parental equality and children’s rights. These inheritances of authority are enjoyed by judges who can thus act in accordance with their biases and received notions about masculinity, femininity, ahistorical misunderstandings of contemporary work and familial roles, and can successfully ignore such scandalously modern, “liberal” legal principles as equality before the law, or attunement to the psychological interests of children-in-development. Contemporary structures in the parental social context in which it may now be far more desirable to raise children collaboratively can be ignored, imposing and re-imposing the forms of patriarchal order which broke into the family form in late 19th and 20th century Japan, and facilitated the growth of a strict-to-rigid regime of gendered employment, providing an easily-revived downward pressure on wages. While these habitual practices serve no affirmative purpose in the 21st century economy and often have devastating effects on children and family security, they do allow rigid walls to be maintained around a very limited, ever-falling percentage of “regular” employment for a select class of males, and the vast growth of insecure, precarious work and private life for an ever-growing percentage of Japanese people of all genders. Here (with English subtitles!) 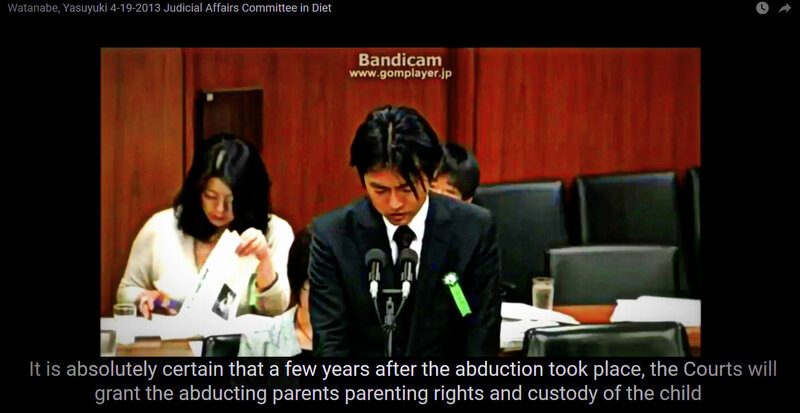 is Watanabe’s testimony before the Diet Judicial Affairs Committee at a hearing in 2013, immediately prior to Japan’s accession to the Hague Convention, detailing the abuses to which he was subjected as a father by family court Judge Wakabayashi who, like so many others, could not bring himself to respect or act with decent regard for the lives of parents and children, preferring instead to assert his very real autonomy from the constraints of the law, to jealously guard his authority and his hereditary right to play Lord of the Manor to a father who came to his court to plead for his daughter’s protection from Japan’s machinery of abduction. Watanabe’s testimony should make you weep hard and bitterly, as it did me. His story is my story, and all of our stories. 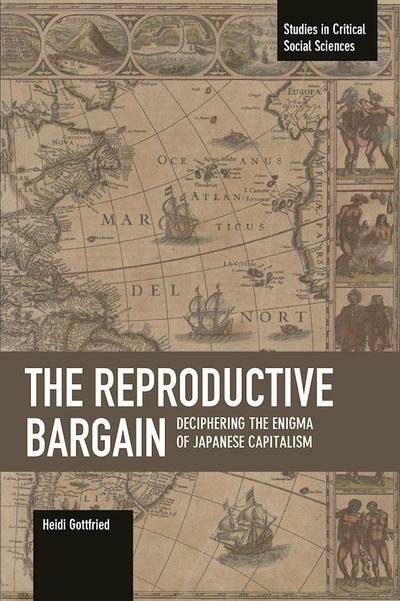 Despite the U.S. State Department and Japanese Ministries of Justice and Foreign Affairs protestations to the contrary, nothing has altered these practices in Japan today. As a result, well over three million children remain victims of Japanese child abduction-masked-as-custody-determination today, in 2018. This post was edited for accuracy after it initially went online.